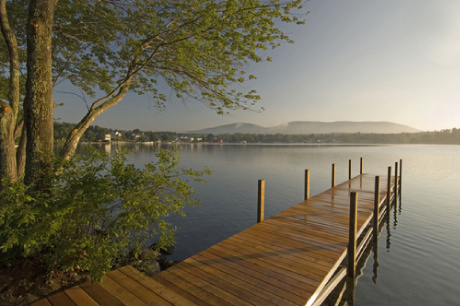 Fed by ancient streams and springs, the crystal clear waters of Lake Winnipesaukee are a magnet for visitors and those who make their home here. The lake is the third largest in New England and is central to a wide range of experiences --from the bustle of small towns to deep wilderness--framed by hundreds of miles of intricate shoreline and over 200 islands. Welcome to the Winnipesaukee Gateway– Your “one-stop shopping” source for maps, environmental plans, water quality data, recreational opportunities, and more! We invite you to check out some of the cool features of the site such as the Monitoring Sites Map for lake data, the Stormwater Footprint Calculator, and the Map Atlas. New information and features are always being added, so check back often, and let us know what you think. 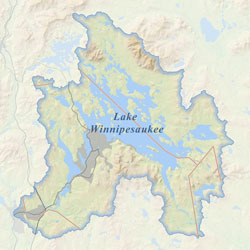 The Winnipesaukee Gateway was created to house the Lake Winnipesaukee Watershed Management Plan. Management Plans are being completed on a sub-watershed basis. Explore the Management Plan tab for more information. June 20th: Come learn about the study to assess the threats to water quality in Moultonborough Bay and Winter Harbor and how you can contribute to this effort to protect Lake Winnipesaukee at 6:00-7:30pm at the Tuftonboro Town House. March 26, 2018: The Alton/New Durham Cyanobacteria Mitigation Steering Committee is seeking qualifications/bids from environmental consultants to develop a watershed management and restoration plan for the Merrymeeting River and Merrymeeting Lake Watershed.